Back in June, I wrote about the deceit employed by the Pentagon in going against the advice of SIGAR (pdf) and explicit language in the NDAA to purchase Russian Mi-17 helicopters through the arms dealer Rosoboronexport. Because Rosoboronexport has been supplying weapons to the Assad regime in Syria, the helicopter purchase took on additional levels of outrage. It appears that the Pentagon did get about half of the helicopters it wanted by claiming to use leftover 2012 funds (use of 2013 funds for the helicopters was banned in the NDAA), but they have now cancelled plans to use 2014 funds for the remaining helicopters that had been planned. Reuters reported in August that the Defense Criminal Investigative Service had opened a criminal probe into the Huntsville, Alabama, Army aviation unit that oversees the Mi-17 program, and ties between the unit’s former chief and two foreign subcontractors. Bipartisan opposition to the Mi-17 acquisition grew as the violence in Syria escalated and U.S. relations with Russia deteriorated. A growing number of lawmakers from both political parties objected to acquiring military gear from Rosoboronexport, which has provided Assad’s regime with weapons used against Syrian civilians. Rosoboronexport announced Monday that 12 of the Mi-17s had been delivered to Afghanistan in the month of October. The shipments, the export agency said, reflected the joint effort between Russia and the U.S. to combat international terrorism. 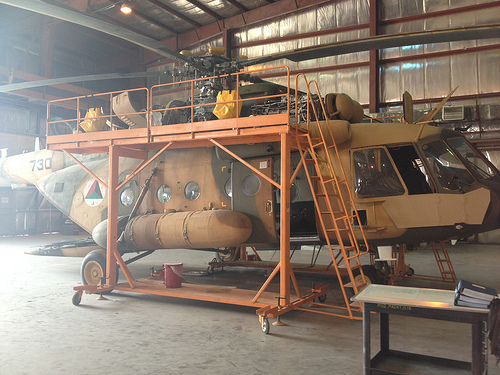 An Mi-17 undergoing maintenance. Most maintenance within SMW is carried out by contractors because SMW lacks the expertise. (SIGAR photo). The Special Inspector General for Afghanistan Reconstruction, (SIGAR) issued a report (pdf) yesterday that serves as microcosm of the bumbling ineptitude and denial of reality that has characterized the entire US military’s misadventure in Afghanistan. Subtexts running through this scandal run the gamut from US think tanks cooking up unworkable plans to the vast network of international arms dealing (replete with counterfeit parts), Russia supplying arms to Syria, possible blow-back from the arrest of Viktor Bout, the US Congress remarkably trying to exert a bit of power and finally DoD declaring that they will continue with their schedule for claiming Afghanistan can provide its own defense operations despite overwhelming evidence to the contrary. At a December 2011 Special Operations Summit, ISAF senior leadership identified the development of air support capacity as a priority for improving Afghan military capabilities for counterterrorism and other special operations missions. To respond to this need, NTM-A [NATO Training Mission – Afghanistan] sponsored a RAND study to assess requirements and provide recommendations. The study’s recommendations discussed different scenarios for the planned size—in terms of both personnel and aircraft—of air support, the command structure, and scope of operations. NTM-A determined that the Afghan Ministry of Interior’s (MOI) existing Air Interdiction Unit, a counternarcotics-focused unit, would provide the best foundation to develop an Afghan counterterrorism and special operations aviation capability, while maintaining critical counternarcotics efforts. On May 12, 2012, NTM-A issued a military order identifying its concept for the establishment of the SMW. On July 18, 2012, the ANA commissioned the SMW, which replaced the Air Interdiction Unit. By a 5-4 party line vote, SCOTUS denied standing in Amnesty v. Clapper today. The majority opinion, written by Sam Alito, emphasizes separation of power. 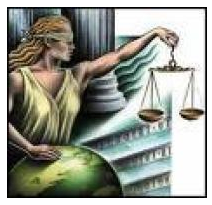 The law of Article III standing, which is built on separation-of-powers principles, serves to prevent the judicial process from being used to usurp the powers of the political branches. It uses a high standard for the imminence of harm, including what I consider a highly ironic passage, considering the Administration’s own standards for imminence. “Although imminence is concededly a somewhat elastic concept, it cannot be stretched beyond its purpose, which is to ensure that the alleged injury is not too speculative for Article III purposes—that the injury is certainly impending.” Id., at 565, n. 2 (internal quotation marks omitted). Thus, we have repeatedly reiterated that “threatened injury must be certainly impending to constitute injury in fact,” and that “[a]llegations of possible future injury” are not sufficient. It even says it can’t use in camera review in this case, because doing so would establish a precedent terrorists could use to find out whether they’re being wiretapped. It was suggested at oral argument that the Government could help resolve the standing inquiry by disclosing to a court, perhaps through an in camera proceeding, (1) whether it is intercepting respondents’ communications and (2) what targeting or minimization procedures it is using. See Tr. of Oral Arg. 13–14, 44, 56. This suggestion is puzzling. As an initial matter, it is respondents’ burden to prove their standing by pointing to specific facts, Lujan v. Defenders of Wildlife, 504 U. S. 555, 561 (1992), not the Government’s burden to disprove standing by revealing details of its surveillance priorities. Moreover, this type of hypothetical disclosure proceeding would allow a terrorist (or his attorney) to determine whether he is currently under U. S. surveillance simply by filing a lawsuit challenging the Government’s surveillance program. Even if the terrorist’s attorney were to comply with a protective order prohibiting him from sharing the Government’s disclosures with his client, the court’s postdisclosure decision about whether to dismiss the suit for lack of standing would surely signal to the terrorist whether his name was on the list of surveillance targets. Ultimately, though, it said the plaintiff’s fears were too speculative to amount to standing. It does so by ignoring — and indeed, misrepresenting — the details presented about what is new in this program. Here’s how Stephen Breyer, in his dissent, describes them. The addition of §1881a in 2008 changed this prior law in three important ways. First, it eliminated the require­ ment that the Government describe to the court each specific target and identify each facility at which its sur­ veillance would be directed, thus permitting surveillance on a programmatic, not necessarily individualized, basis. §1881a(g). Second, it eliminated the requirement that a target be a “foreign power or an agent of a foreign power.” Ibid. Third, it diminished the court’s authority to insist upon, and eliminated its authority to supervise, instance-specific privacy-intrusion minimization procedures (though the Government still must use court-approved general minimization procedures). §1881a(e). By contrast, Alito claims the new program only allows the government to target individuals (h/t Julian Sanchez who first pointed this out). Is Obama Preparing the “Vote for Me or Mitt Will Indefinitely Detain You” Pitch? Jesselyn Raddack catches Obama promising to start talking about civil liberties on the campaign trail. Raddack proceeds to demonstrate the many ways that talking civil liberties won’t help Obama. But she’s missing one thing. As I noted during the debate on the NDAA, Obama’s apologists essentially adopted a “Vote for Obama or Newt (who was then leading the GOP pack) will indefinitely detain you” approach to the NDAA. But don’t worry about this breathtaking assertion of unlimited presidential authority, [Ken] Gude suggests, because Obama’s not a big military detention fan. https://www.emptywheel.net/wp-content/uploads/2016/07/Logo-Web.png 0 0 emptywheel https://www.emptywheel.net/wp-content/uploads/2016/07/Logo-Web.png emptywheel2012-10-09 13:53:112012-10-09 13:53:11Is Obama Preparing the "Vote for Me or Mitt Will Indefinitely Detain You" Pitch? Amy Goodman is doing a 100 city tour to support public outlets that carry Democracy Now. She also gave a talk about the importance of independent media at Grand Rapids Community Media Center. And, she had me–live!–on her show. Man I’ve got a lot of hair!